This quirky Canadian comedy follows Ben after a failed suicide attempt as he searches for the moment in his life where everything seemed to go wrong. Genuine and surreal the heart this film carries helps to tell an interesting and unexpectedly twisting story. 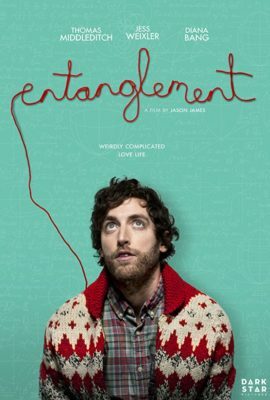 Thomas Middleditch as Ben does start off as a similar riff on the typical Michael Cera characters we have seen before but gladly takes it in his own unique way with his quest for personal understanding. Supporting performances from Jess Weixler and Diana Bang serve as welcome subversions of the typical Manic Pixie Dream Girl stereotypes that have grown so stale in recent years. The trippy story is aided through some off the cuff decisions that, while initially off-putting, are re-contextualized with a script that cleverly attempts to fully divert the audiences expectations. While some moments of comedy do misstep the guts, director Jason James has for tackling his dark subject matter in this way must be commended. The kitschy feeling usually associated with Canadian films is definitely present through quite a large portion of the film and the unconventional way in which the story unravels does provoke moments of excellence in its commitment to tone and the characters that struggle to find their way.